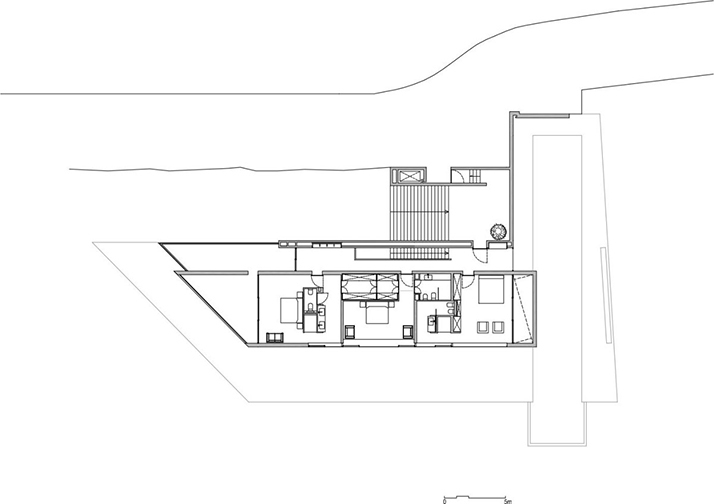 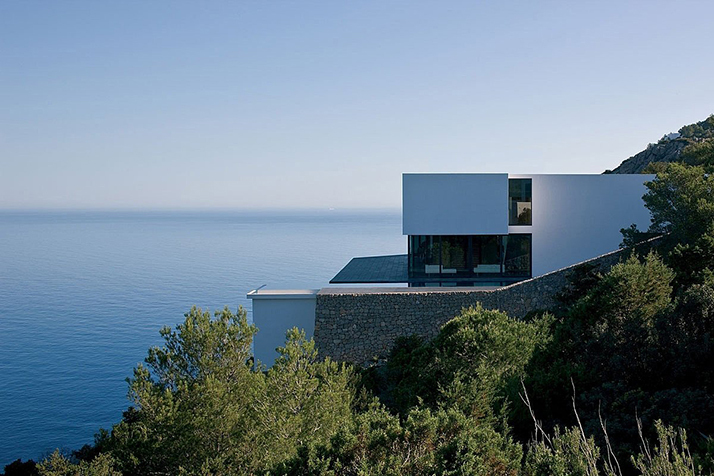 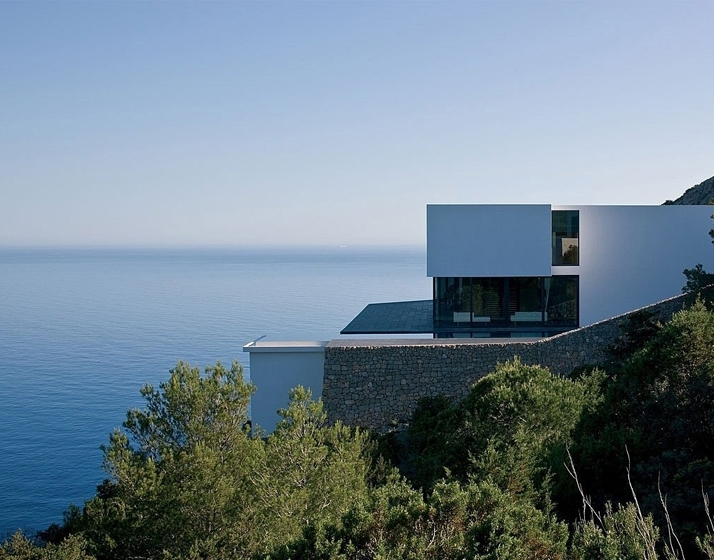 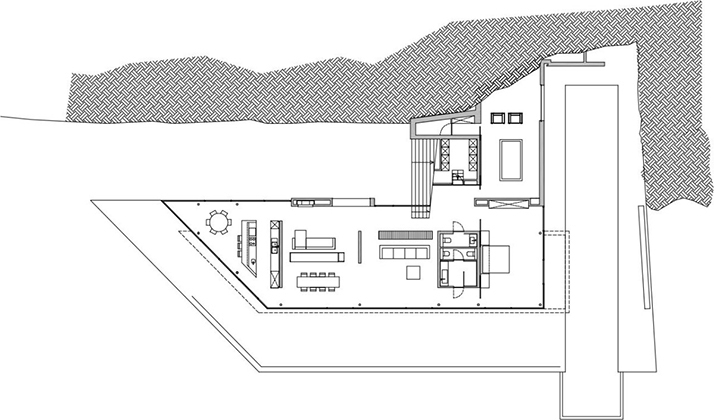 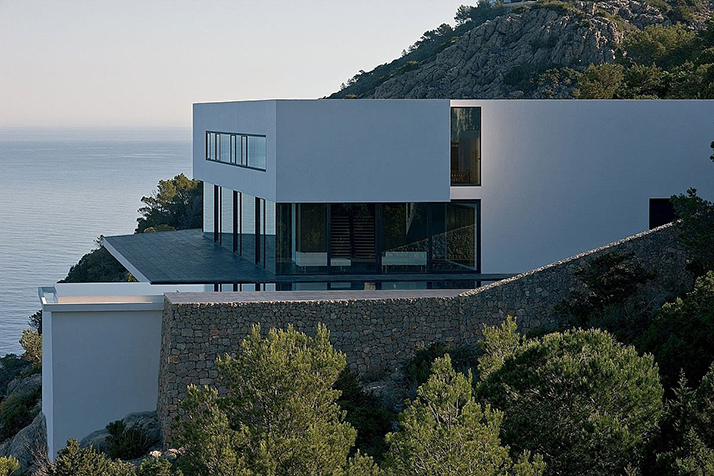 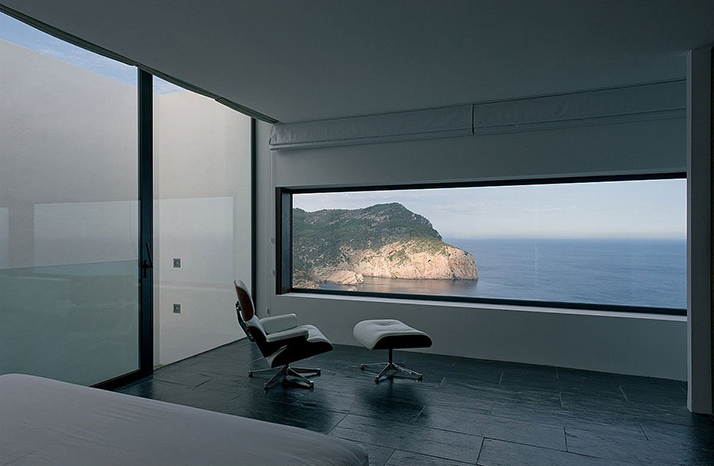 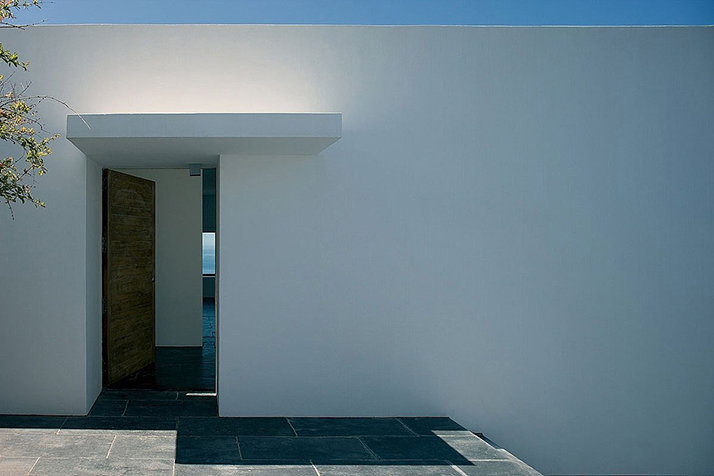 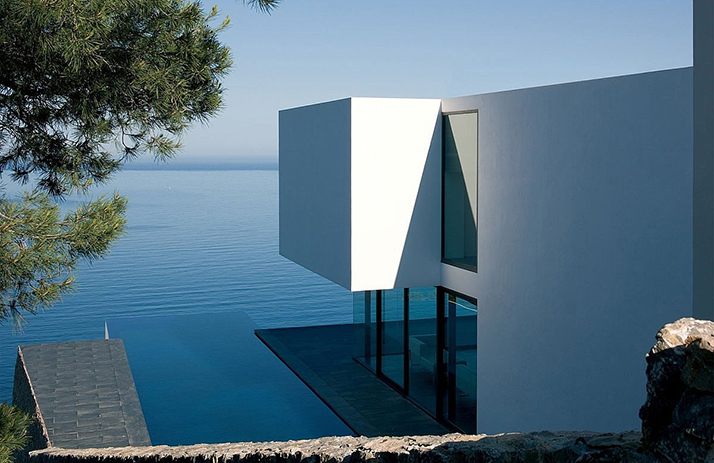 Atelier d’Architecture Bruno Erpicum (AABE) have designed the AIBS House in Ibiza, Spain. 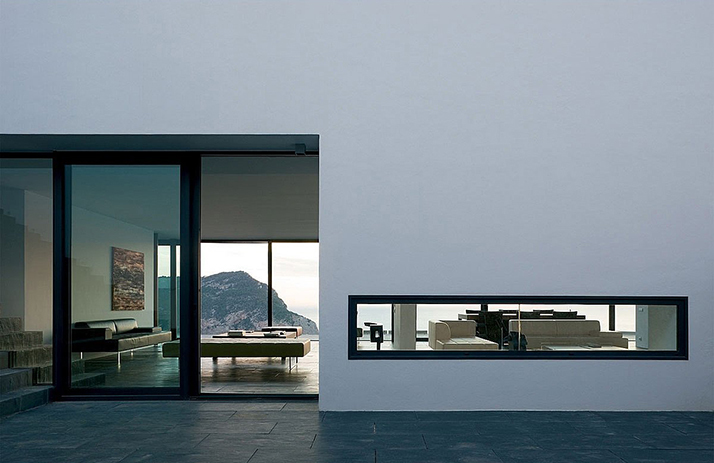 Just like a path or road which comes to a dead end, the land becomes rippled before turning into a staircase which leads you down to the lower bridge from where you can appreciate the landscape in all its beauty. 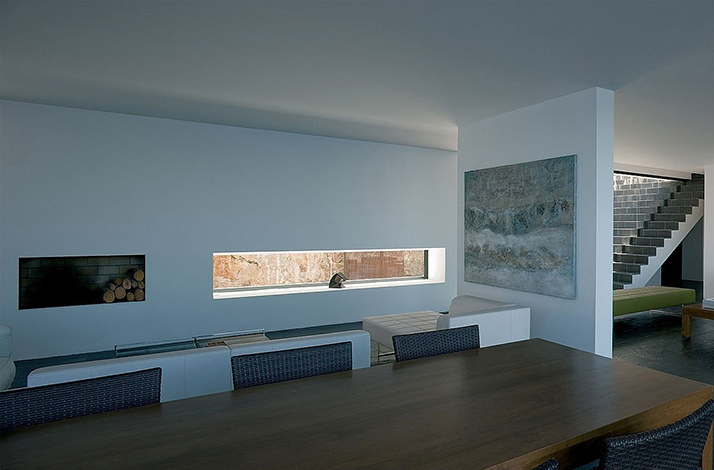 The living areas are enclosed by a single large window frame. 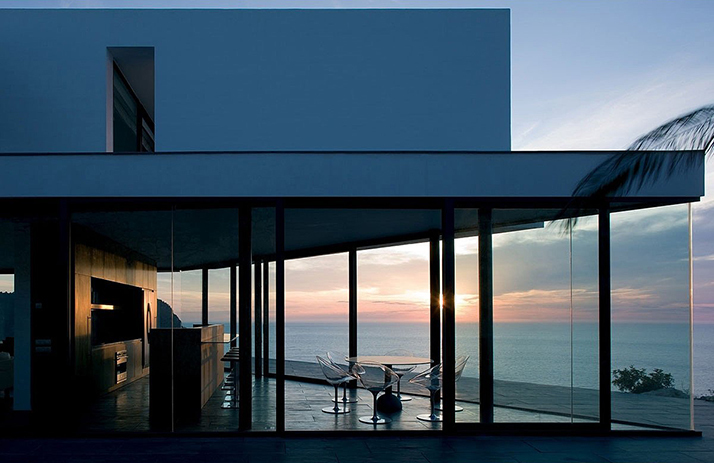 The windows also provide protection against the winds. 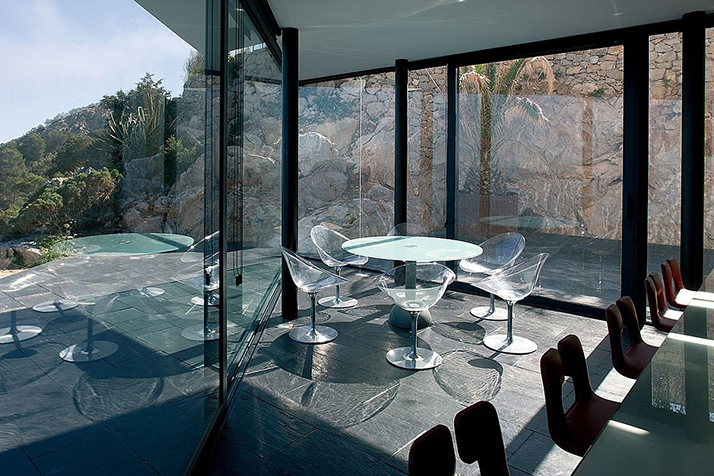 There are also large windows along the patio which is in an enclosed area. 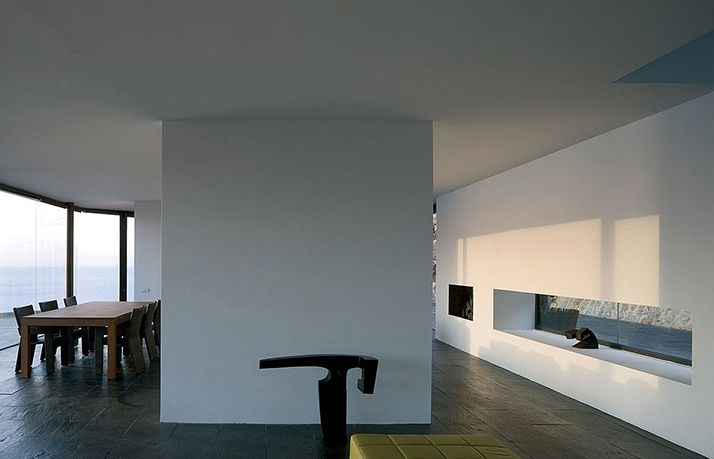 The cliff which has an olive tree on top provides a second wall for the patio. 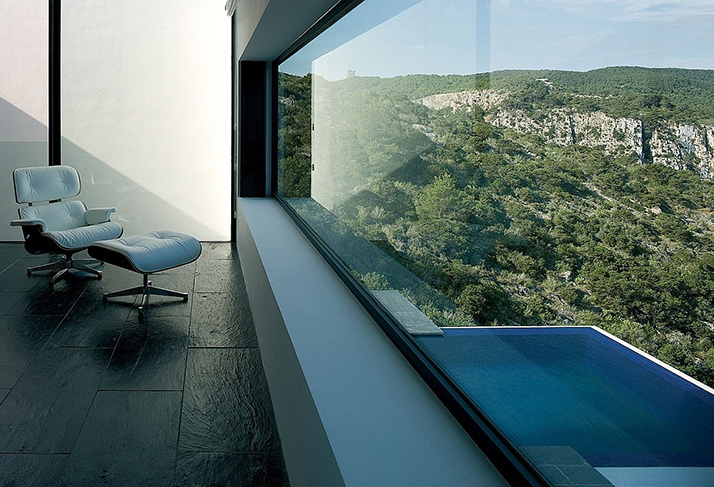 Away from view, the swimming pool lies to the side of the building beyond the terrace, surrounded by the natural environment. 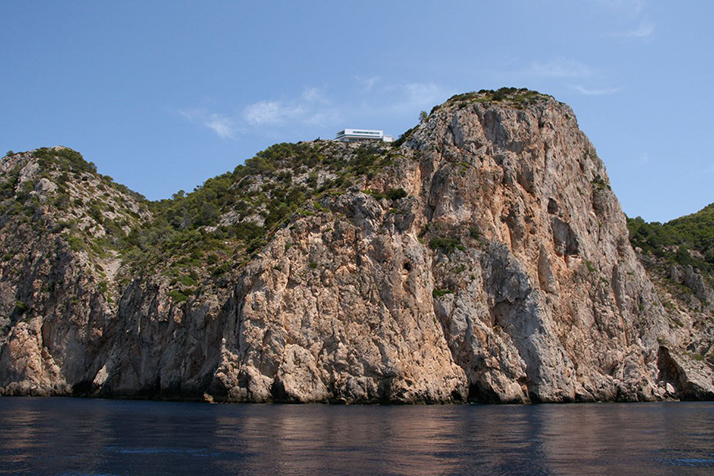 A number of walls and pillars have been painstakingly erected on the concrete surface and support the floor above which contains the bedrooms. 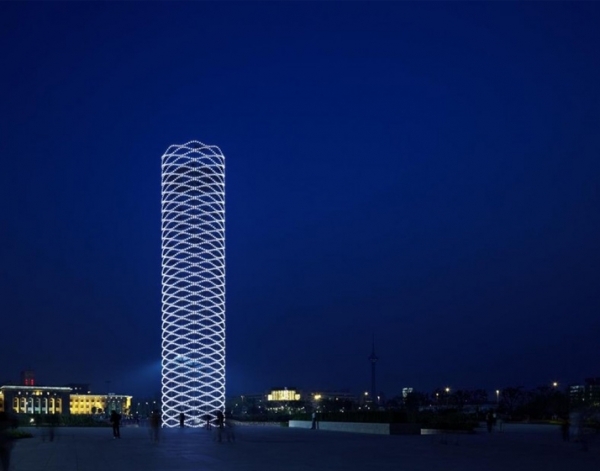 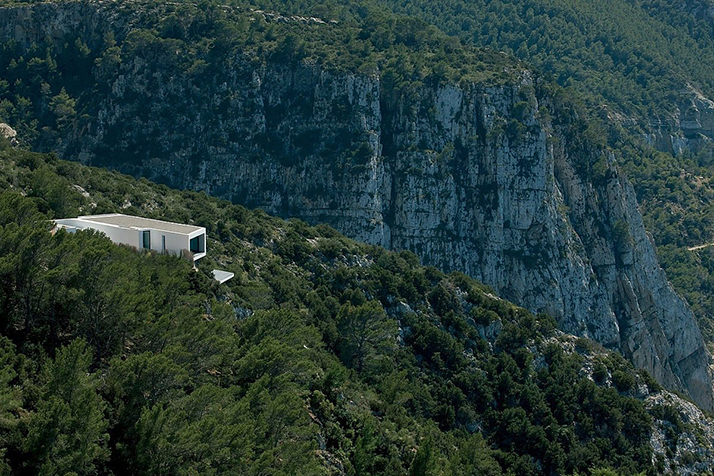 Located at 159 metres altitude, none of the building’s features constitute a threat to nature. 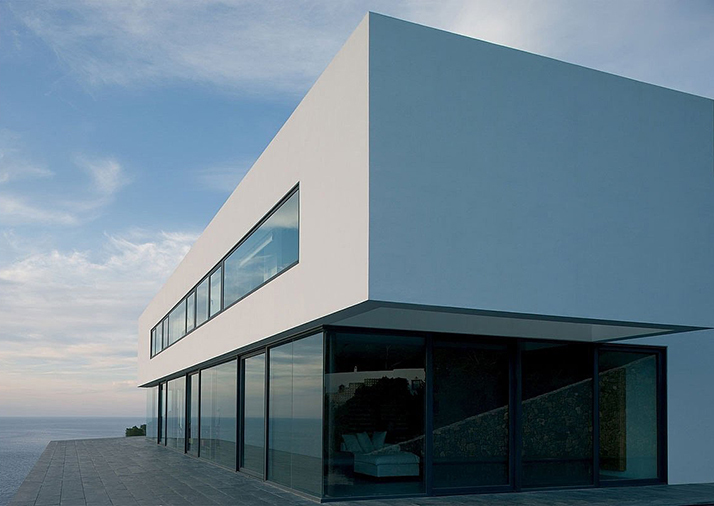 Under blue skies the building appears calm and serene whilst in stormy weather it has a striking and tormented air about it.